This tutorial is from the book Learning Processing by Daniel Shiffman, published by Morgan Kaufmann, © 2008 Elsevier Inc. All rights reserved. It was ported to P5 by Kelly Chang. If you see any errors or have comments, please let us know. In addition, if we draw two shapes, p5.js will always use the most recently specified stroke and fill, reading the code from top to bottom. 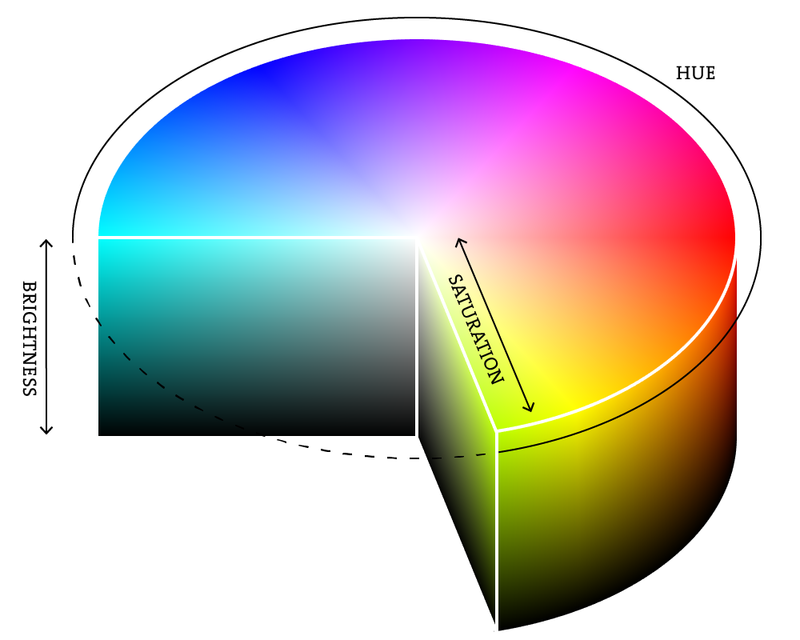 This assumes that the colors are all as bright as possible, but of course, you have a range of color available, so some red plus some green plus some blue equals gray, and a bit of red plus a bit of blue equals dark purple. While this may take some getting used to, the more you program and experiment with RGB color, the more it will become instinctive, much like swirling colors with your fingers. And of course you can't say "Mix some red with a bit of blue," you have to provide an exact amount. As with grayscale, the individual color elements are expressed as ranges from 0 (none of that color) to 255 (as much as possible), and they are listed in the order R, G, and B. You will get the hang of RGB color mixing through experimentation, but next we will cover some code using some common colors. RGB color with ranges of 0 to 255 is not the only way you can handle color in p5.js, in fact, it allows us to think about color any way we like. For example, you might prefer to think of color as ranging from 0 to 100 (like a percentage). You can do this by specifying a custom colorMode()colorMode().